This post Would the Founding Fathers Approve of Marijuana Legalization? appeared first on Daily Reckoning. Is the U.S. moving toward full federal pot legalization? In early April, Senate Majority Leader Mitch McConnell introduced a new bill to legalize hemp. Hemp is a type of cannabis plant. It's one of the oldest crops in existence. Humans have been growing it for many thousands of years and it has many roots right here in America. One could say hemp is as American as apple pie. It was once an important crop in this country. Even some of the Founding Fathers grew it. 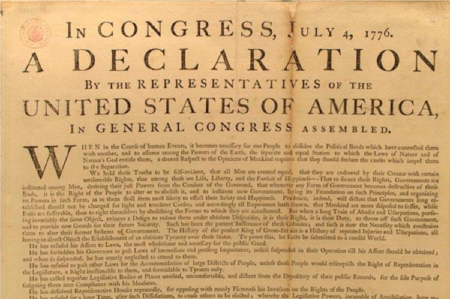 Some think the original Declaration of Independence was written on hemp paper. During Colonial times, you could even pay your taxes in hemp! Hemp fibers are incredibly strong, and they were used to make everything from rope to textiles and paper. We've found many additional uses for hemp, including using it to make super-strong plastics. In the 1930s, thanks to the invention of new agricultural and processing machinery, hemp was touted as a potential ?billion-dollar crop? that could be used in 25,000 products, create thousands of American jobs and reduce foreign imports. 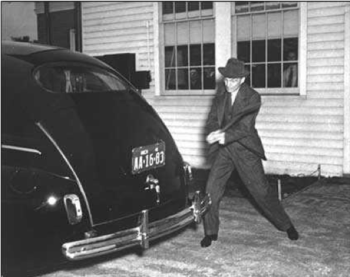 Also in the 1930s, Henry Ford built a car out of hemp-containing panels, declaring them 10 times stronger than steel? and he even used a sledgehammer to prove its impact resistance. Hemp's wonderful future never came to be, however. Hemp got caught in the federal effort to ban cannabis, despite the fact that hemp does not contain appreciable quantities of psychoactive THC. Hemp is rich in CBD ? which has a wide range of therapeutic uses. Even now, despite the fact that CBD is legal, there are companies that have to import hemp in order to make products. Right now hemp cultivation is illegal at the federal level; we can only grow hemp in the handful of states that allow it. Even with limitations, production is booming, with land and producers doubling in 2017 in states that allow its cultivation. If McConnell's bill passes, the potential growth is enormous. Moreover, it's another step on the road to full cannabis legalization in the United States. Meanwhile, a new study from the academic journal Addiction reveals that U.S. medical marijuana laws apparently don't cause increased marijuana use in adolescents. That's long been one of the biggest beefs of the anti-pot crowd? Making pot more available to adults means that kids will be able to gain access to marijuana more easily too, they claim. But a meta-analysis of 11 academic studies found that that's just not the case in jurisdictions where marijuana is legal. Maybe pot's ?not cool? anymore when your mom's smoking it. Whatever the reason, all marijuana advocates agree that teens shouldn't have access to weed, even if adults should. This isn't the first time research has shown that legal weed doesn't increase kids' use; I shared one of the first studies back in September. And this latest round of data helps take the wind out of the sails of naysayers who've been using make-believe reasons to fight against legal pot. The bottom line is marijuana legalization is a runaway train that's just now gathering speed. I recommend you jump aboard before it gets too fast. The post Would the Founding Fathers Approve of Marijuana Legalization? appeared first on Daily Reckoning.